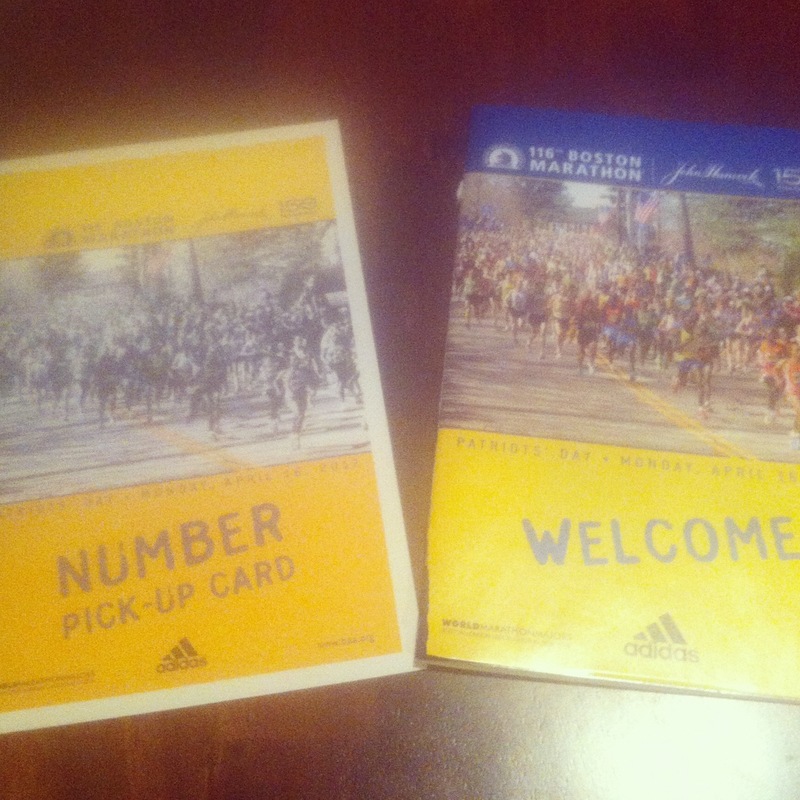 Thanks to everyone for your support in my running of the Boston Marathon this year! Your encouraging comments/tweets mean so much to me! Part of me was disappointed that one of my best training cycles, with my highest mileage week ever, had gone to waste. That I had pushed myself so hard, even when my work weeks were absolutely nuts, to make sure I hit all of my daily workouts. I was disappointed that my body had responded so poorly to the heat and fueling. I worked through the same nauseau/lightheadedness once before and never expected it to hit me again. Especially at Boston. And I was disappointed with my time. About halfway through the marathon, I began negotiated with myself. Maybe I can make it in by this time. A few miles later. Maybe I can give myself 10 extra minutes. A few miles later. Maybe I can beat my old PW. A few miles later. Maybe I can beat the next half hour mark. All of these thoughts were weaved between thoughts of gratitude for just being there again. Just being thankful for the ability to run. Just trying to enjoy the experience and take from it what I could. See things I hadn’t seen before. Notice things I hadn’t before. Focus on the journey, not the destination. Because of all things, you can’t control the weather. The truth is, I’m pretty hard on myself. I set expectations. And often, when they don’t come to fruition, it takes me some time to cope. I knew I’d come around. I always come around. So, I had my night (and maybe a few moments since) of frustration and disappointment, but I’ve managed them well. I’ve chalked this up to a great experience and I’m definitely happy that I ran the race and completed it without visiting the medical tents. That alone was probably a big enough feat! PS-I heart you boyfriend. Thanks for you-know-what. Categories: Attitude, Boston Marathon, The Boy | Permalink. It’s here! The final week before Boston! I’m feeling so lucky to be able to run Boston a 2nd time. It’s been three years, and I am a much stronger and experienced distance runner. We’ll see if my time reflects that! Speaking of time, I have three plans running through my head. While I’m not sure I can post them yet, I am trying to be conservative without underestimating myself. I’ve sold myself short a lot of time in races, but it hasn’t been intentional. I don’t undersell myself just so I can have these amazing feelings or times compared to how I thought I would do. I think I am just a conservative and safe “better” when it comes to races. This has 20 years of backing. Not sure how much I’ll be changing in that department. So this week I just plan my goals. And hydrate. And rest. And obsess over the predicted weather. And what I’ll wear. And run very little which drives me nuts. The boy and I head out on Saturday, and I am beyond excited to share this experience with him. He has been more than just supportive during these past 12 weeks of training. He encourages and pushes me to do more than I thought I could. Categories: Boston Marathon, The Boy | Permalink. Due to some major watche issues this past year, I don’t have a total number of miles for 2011. 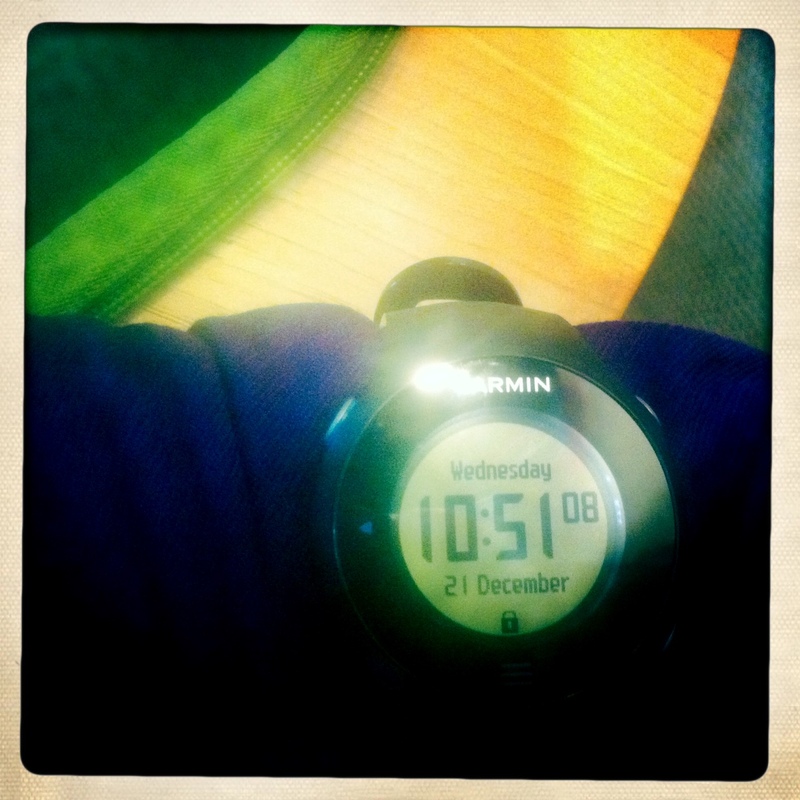 When Garmin 305 died, I lost several weeks worth of information. Then, I started using the boy’s Nike+, which was a bit finicky. Not to mention, I failed to get any runs off of it for “keeping track” purposes. It’s actually bothered me a little bit. Or, a lot a bit. I’m a numbers girl, myself; and my Running Log for 2011, which is in the delightfully organized form of an Excel spreadsheet, is incomplete (I know someone can appreciate this). As of the middle of September, I had 898.17 miles. With another few weeks of marathon training, the marathon, and what I’ve done between now and then, I can comfortable tack on another 500 miles. Maybe even 501.83 for a guesstimated and rounded total of 1,400. This looks reasonable to me (but he would disagree-as this number would only be reasonable when adding mileage on your vehicle). In 2010, I had closer to 1700, but that was due to running/training for 2 marathons. In 2011, I only ran one. So, there. Next year’s mileage goal? More on 2012 goals in the next post. Categories: Running Accessories, The Boy | Permalink. I have the best boyfriend ever. Ever. Better late than never, I’m posting about Thanksgiving! After discussions of a trail run the weekend prior to Thanksgiving week, the boy and I finally followed through with a Thanksgiving morning early afternoon trail run. We had previously decided on the Hewlett-Gulch Trail; a mountain bike/running/hiking trail that lollipopes its way through 6 miles in the Poudre Canyon, just northwest of Fort Collins in the Roosevelt National Forest. I was excited to trail run, since I hadn’t done that in a while. But, I got a little nervous when I saw the recently posted signs about mountain lion and bear sightings in the area. The bears, not too concerned about. The mountain lions, most definitely! Because they are watching you when you don’t know. Because they are stalking you, without a sound. Because they’ve been coming down from the mountains a lot in the last few years and attacking people in neighborhoods. The neighborhoods where I work! So, if they are confident enough to do that, then they are confident enough in their own environment to stalk and attack me! A helpless blonde! Good thing the boy and the boy’s dog were with me. Hopefully, they would be attacked first. Then, I would get help. The trail starts out at a low 5680 feet elevation. I found the trail to be pretty gentle, which is probably what I needed in returning to the mountains. There are numerous streams to cross; where I find out that the boy gazelles over them, without hesitation. I, on the other hand, have to stop at each one and evaluate each rock that I will step on. Oh Type A…. After about 2 miles up the canyon, the wind picks up and the clouds come out, putting a little bit of a damper on this 60 degree day. It’s wet, and snowy, and muddy. The boy’s dog is flinging up mud and splash-back is covering my front. And now, my mind starts playing games with me, as we come into a dense area, surrounded by trees, undergrowth, and the like. I start to hear sounds in the bushes and branches. They don’t belong to the boy’s dog, who is in front of me. I’m convinced it’s a mountain lion stalking me. I mean, why wouldn’t it be? I get a little paranoid and turn back around 2.5 miles, for a 5 mile total. I’m fine with this. I don’t want to die. I did like the trail for something short and easy. Not a lot of uphill, although I’m told it gets fairly steep in the section we didn’t run. I’d love to run it in its entirety another time. Categories: The Boy, The Dog, Trail Running, Trails | Permalink. With that marathon over and the beginning of the holiday season upon us, it can only mean one thing: off season. Now, hear me out. When I say “off season” I don’t mean sitting on the couch, eating chocolate ice cream with a glass of red wine, while watching the latest episode of It’s Always Sunny. Because let’s be honest, that happens during “on season” too. 😉 I just mean, I won’t be doing that every day. But, this is a time for me to cut back on my mileage, enjoy some beloved runs, try some new ones, and let my feet and toenails heal from all that marathon training. I don’t have much of one. 30 mile weeks: While I’d like to stay around this mileage, I probably won’t be holding myself to that too strictly. 10+ mile long runs: I think this is doable. I just want to keep my long runs up through the end of the year so it’s easy to get back into it in January. 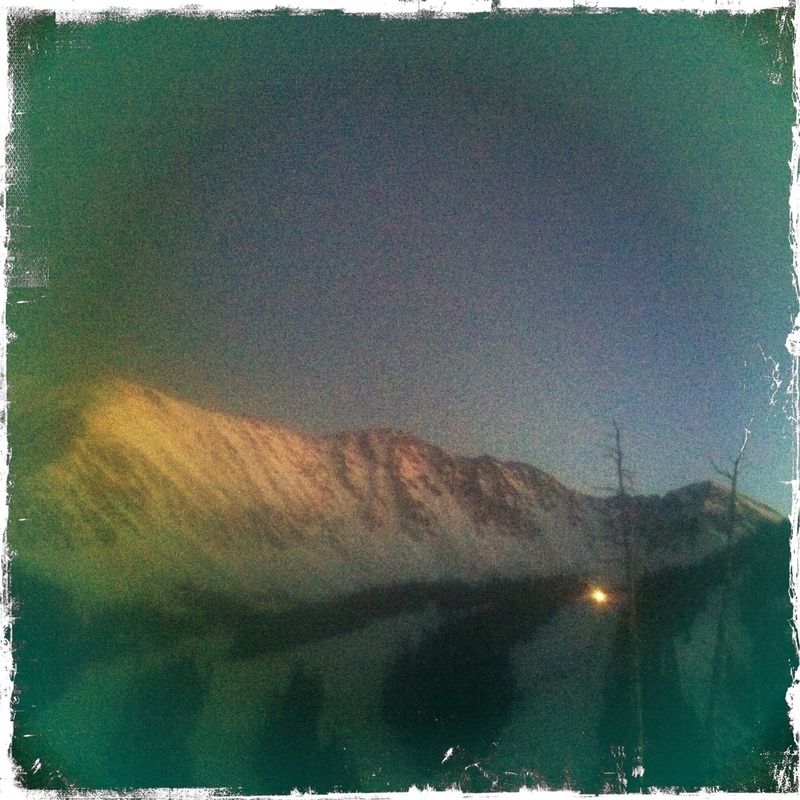 Beloved runs: I’m itching to hit some of my favorite runs like Mags, and up the Boulder Canyon. 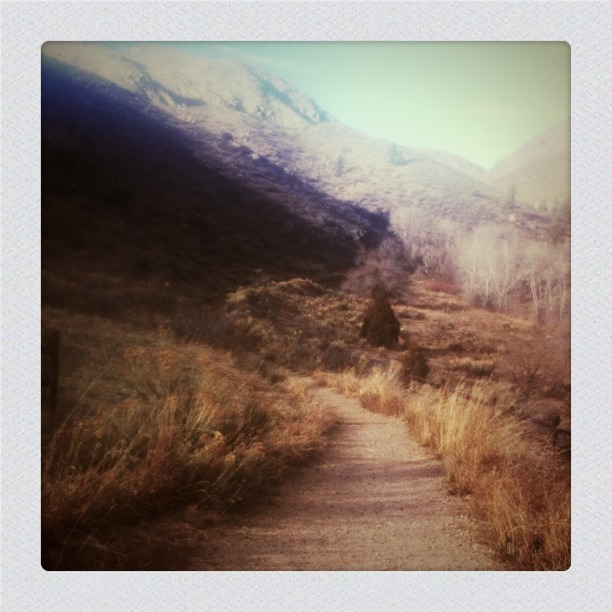 Trails runs: The boy teased me with hopes of a potential trail run this past Sunday. Turns out, neither of us were really up for it, once morning came around. So, we’ve postponed said trail run to Thanksgiving morning. Our very own little Turkey Trot! Otherwise, I’m looking to explore more Boulder/Fort Collins trails. Trail races, anyone? It will be nice to take some pressure off, enjoy the holidays, and enjoy running! Categories: The Boy, Training | Permalink.